Android co-founder Andy Rubin is reportedly considering selling off Essential Products Inc., the startup that launched the Essential PH-1 smartphone last year. Bloomberg is quoting people familiar with the matter to report that the company has canceled the development of its second-gen smartphone that was expected to succeed the PH-1 as its 2018 flagship. The publication also says that the company is considering a complete sale, including all hardware products and the entire patent portfolio. Hours after the report was published, Rubin seemingly confirmed the news on Twitter, saying “we embrace canceling some (products) in favor of the ones we think will be bigger hits”. He also claimed that the company always has “multiple products in development at the same time”, some of which, he promised, will be ‘game-changers’. There’s no word on what those under-development products might be, but it’s more than likely there won’t be a new Essential phone this year. Credit Suisse Group AG is reportedly advising Essential on the proposed sale, and the company has apparently already received interest from at least one potential undisclosed buyer. The Andy Rubin-founded startup was reportedly valued at almost $1 billion last year, and had earlier received investments worth around $300 million from a number of different companies, including Amazon, Tencent and Redpoint Ventures. Even if Essential does go away in a puff of dust, it did leave a mark on this year. 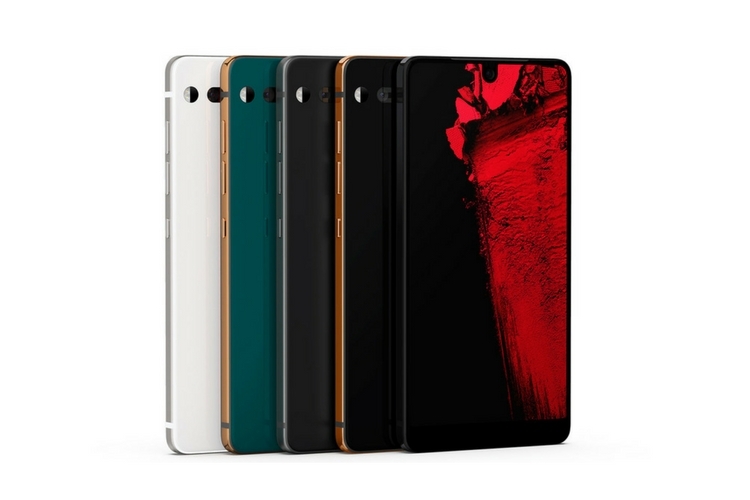 Last year’s Ph-1 was the first smartphone with a notch, and since then it has become a major trend in Android phones, even though the notch only became popular after the Apple iPhone X, which followed Essential’s suit.